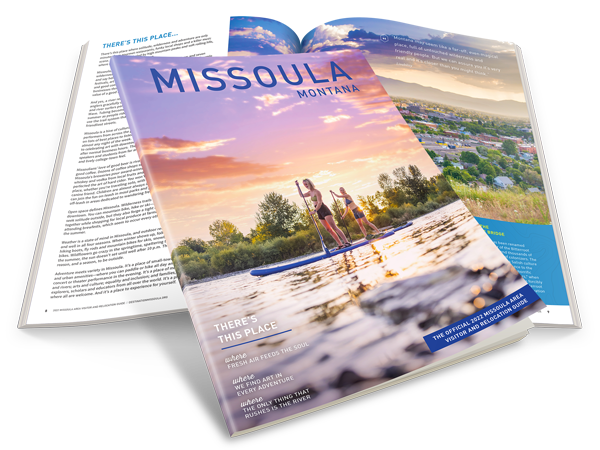 Fill out the form to receive a free travel guide for Missoula and the surrounding areas. If you would prefer to read the guide on your computer, you can either download the guide here, or you can view the interactive guide online here. When do you plan on visiting? (Optional) Spring Summer Fall Winter No Plan Are you interested in relocating to Missoula? Would you like to receive additional information from our travel associates?